We already know that MONA is the most amazingly awesome place in Hobart, Tasmania. And we know yoga is the most amazingly awesome thing for your health and wellbeing. and to top it off, we’re making it FREE!Free Yoga at MONA!It doesn’t get much better than this! 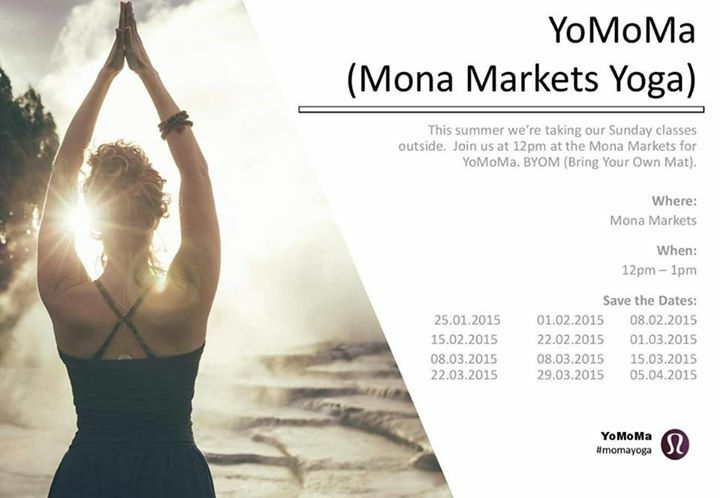 Grab your mat & head on out to MoMA (MONA Market) TODAY (29th of March 2015) at 12pm for some YoMoMA (Yoga MONA Market) fun and relaxation. http://www.loosenup.com.au/wp-content/uploads/2015/02/Untitled-10.png 0 0 admin http://www.loosenup.com.au/wp-content/uploads/2015/02/Untitled-10.png admin2015-03-29 09:03:192015-03-29 14:02:58Free Yoga at MONA (Museum of Old and New Art) - The most amazing place in Hobart!